Support local! Eat chocolate! For charity! At Penylan Pantry! Holy moly, could life get any better? Our friends at Penylan Pantry have just started a new initiative to try and promote local producers, by choosing a ‘product of the month’ to support. This month it’s Coco Caravan chocolate, made in Llandaff by Jaques. Handmade, organic, vegan, raw chocolate. And it’s damned tasty! 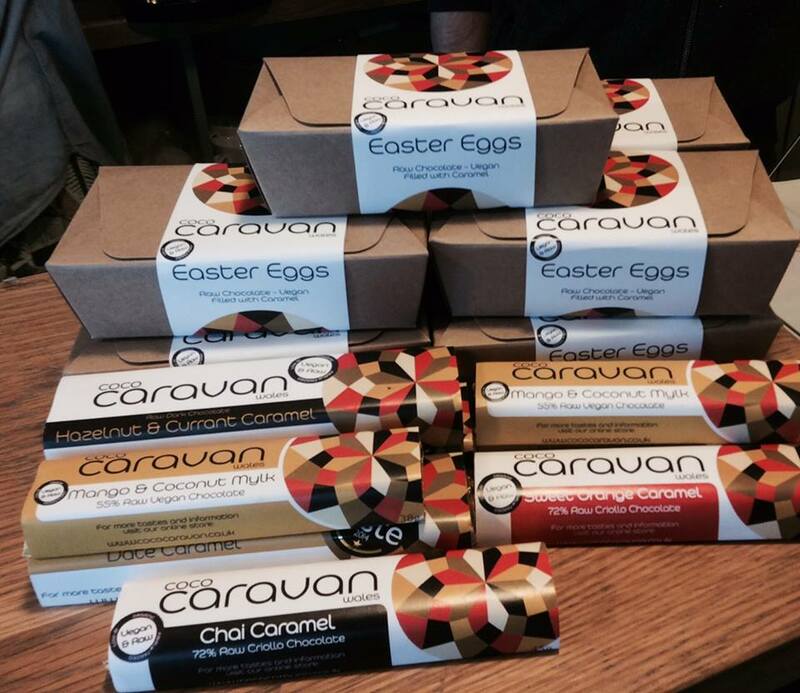 And get this – throughout March, 10 per cent ALL sales from Coco Caravan will go to the Welsh Refugee Council! It has literally never been such a good time to eat chocolate. So throughout this month, Mel and Jolene are promoting Jaques and his amazing chocolates, helping to spread the word about his ethos, his passion and telling you about a great local producer and raising cash for a great charity. Want to taste what all the fuss is about? This Saturday (14th March) 11-3pm, the gals will be holding a FREE tasting/meet the producer event at the Pantry with Jaques. Iona will also be around to talk about the Pantry’s chosen charity for March, The Welsh Refugee Council. Every month the Pantry will be promoting a different local producer and supporting a different charity.